Today I’m going to go over what you need to sell on ebay. As far as necessities to get started, you don’t need much. Everything else can be added once you’re making some money. If you’re an ebay seller, there are a few things you’re going to need and then there are some things that just make life easier. I’ve compiled a list of everything I recommend for selling on ebay. This list also works for selling on Poshmark, Mercari, Etsy, etc. It’s basically a list for anyone who resells online! If there was one thing I would recommend to people who feel like they don’t have enough time, it would be calendar blocking. Hands down. We’re all busy and we all have the same 24 hours in a day. So how do you make sure you’re spending time on your priorities and meeting your goals? I resisted scheduling myself for a long time. I’m a free spirit! I’m an entrepreneur! I work from home for the freedom! These were all of my excuses for refusing to set any sort of schedule for myself, but once I decided to give Calendar Blocking a try my life changed. Some people call it calendar blocking, some call it time blocking. It’s really a combination of both, but I personally call it Calendar Blocking because you are actually filling out your calendar with blocks of time. Simply put it is filling in your calendar with your daily routine, schedule and activities. It doesn’t matter if you’re the CEO of a multimillion dollar corporation or “just” a stay at home parent, we all have stuff to do and blocking out time on our calendars is the way to do it. WARNING: If you think this sounds too rigid try to stay open minded and give it a try. You can be flexible and move things around as needed, but having your day or week all planned out will ensure you focus on what you need to. The best part? It’s free. Yep, free! Welcome to my Income Report where I share how much I made as a work at home mom from my online businesses! IN SEPTEMBER 2018 I WAS ABLE TO EARN $4,237.81 WORKING FROM HOME! Before we get to numbers I wanted to talk a little bit about how things have been going. Cutting distractions and being more focused is so important whether you work from home like me, work out of the home or maybe even if you don’t work at all (at a job that is). 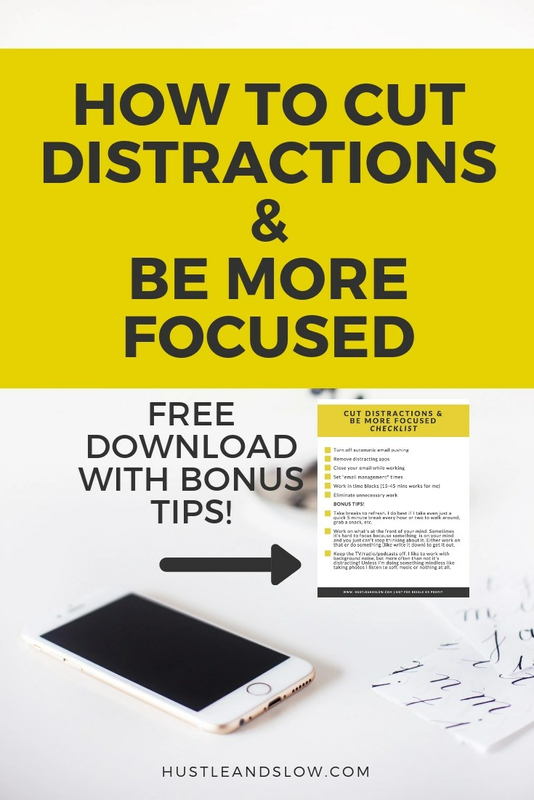 Everyone has their own set of distractions and certain tasks that knock them off track. I don’t know about you, but I can get distracted by the simple fact that there’s really delicious Thai food left overs in the fridge or that there’s an episode of Grey’s Anatomy sitting on Hulu waiting for me to watch it. Add the constant dinging of my phone from social media notifications, emails and texts and it’s a miracle I get anything done with my focus being broken a hundred times each day. Don’t even get me started on the kids being distracting!